...about 100+ both Thursday & Friday when all the moving took place. I think I was suffering a little bit of heat exhaustion by Friday night when we finally arrived at our temporary digs! We'll be staying here for a few months, fixing up this place my husband has been affectionately calling a hovel. It is actually totally livable-in, just a little small and needs quite a bit of love. Pretty much the only upside of being here, is the proximity to the beach, and of course it is a stepping stone to getting to our final destination in Massachusetts!!! I don't think I've picked up a bead in almost two weeks, unless of course, I was moving it into a storage box! 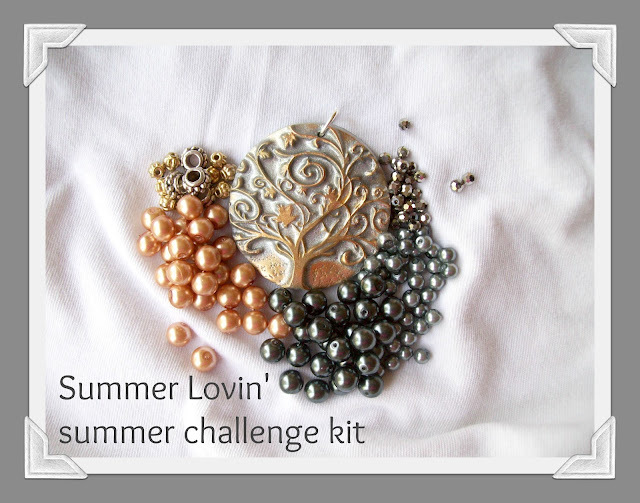 But now that I'm settling in, I need to make my vision a reality for my Summer Lovin' Kit Challenge! I have been remiss in reading comments left on my last post, and haven't even opened up my Google reader to catch up on all the blogs I read...so I can't wait to pour a glass of wine a little later and do just that! I also can't wait to do some hopping on the BSBP that had it's first reveal this weekend! I hope you will stop by on August 1 to see the reveal and a list of the participants for this challenge! Yay Amy, glad you are moved and getting settled in. Enjoy your wine and hoping there are some really nice pieces to see. 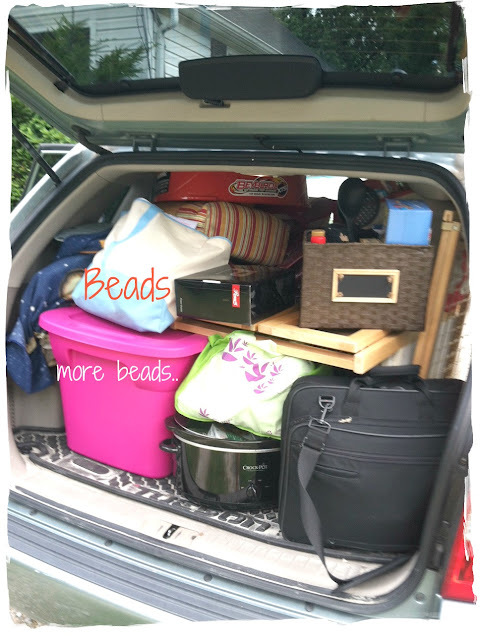 Good luck with the move and setting up!!! And with the DIY on the house too. I'm glad you're at the beach, Amy, and ready to settle in for a brief while. Say hi to "my" part of the Atlantic for me! Enjoy the wine and the beading. I will stop by on August 1. Thanks for the heads up. I am also running a blg hop for 3 days Aug 10-12 if you're interested. The theme is Dog Days of Summer. Where did you guys move? In Mass?